Hon. Temitope Olatoye a.k.a Sugar was born in 1973. He is an indigene of Oyo State. He is a member of the Federal House of Representative representing Lagelu/Akinyele Federal constituency. He attended Alugbo Community School where he obtained his West Africa School Certificate(WAEC) in 2000. He proceeded to Federal College of Education where he obtained his National Certificate of Education in 2002. In 2006, he went further to get a Bachelor’s Degree in Education from the University of Ibadan. In 2010, he obtained his Masters from the same institution. He also got a professional Certificate from the Institute of Strategic Management in 2013. 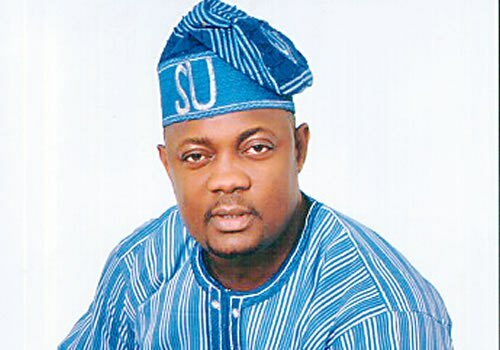 Prior to becoming a member of the Federal House of Representative, he was the Special Adviser Oyo State Government from 2005 to 2007, he was Chairman Commerce, Oyo State House of Assembly from 2011 to 2015. He was also a member of the National delegate to Abuja. In the 2015 elections, he contested for the Federal House of Representative under the Platform of the All Progressives Congress (APC) and Won to represent Lagelu/Akinyele Federal Constituency.